The first in a new series of classic detective stories from the vaults of HarperCollins is the world's first locked-room mystery, a seemingly impossible crime story as powerful as any that have copied the scenario since. 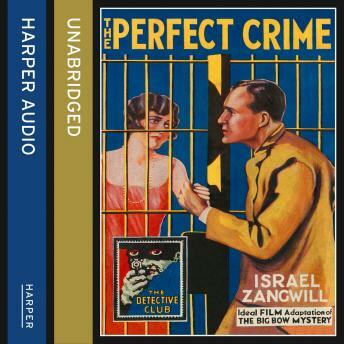 Originally published as The Big Bow Mystery in 1891, and re-published by the Detective Club to coincide with a new film version called 'The Perfect Crime', Israel Zangwill's novel invented the concept of the 'locked room mystery' and influenced almost every crime writer thereafter. This new edition includes a brand new introduction by the Golden Age crime expert, Dr John Curran, author of 'Agatha Christie's Secret Notebooks'.